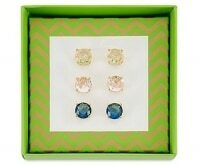 The holidays are the perfect time to treat someone to a little luxury they might not normally buy themselves. 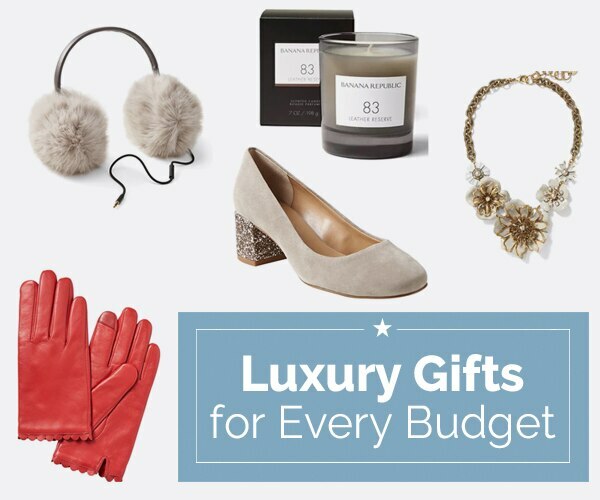 From touches of cashmere to hints of bling, there are plenty of luxury gift ideas that look amazing but won’t necessarily cost you a bundle. Looking for gifting inspiration? 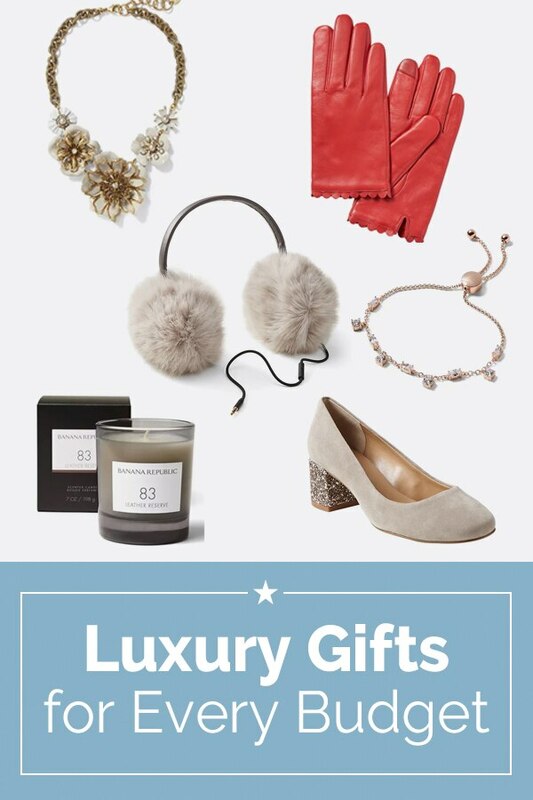 Look no further – we’ve hand-selected some incredible luxe presents for any budget from Banana Republic. 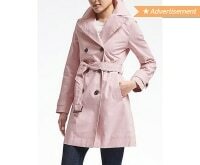 Your favorite gal pal can finally get that Park Avenue princess look in a flash. 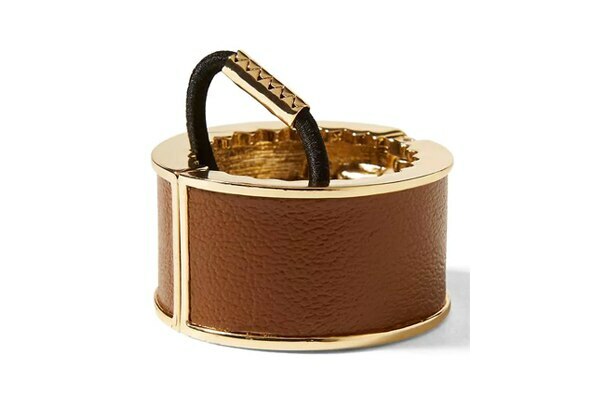 Tell her to simply slick her hair back into a low pony and add this metallic and leather ponytail holder for a perfectly posh look. 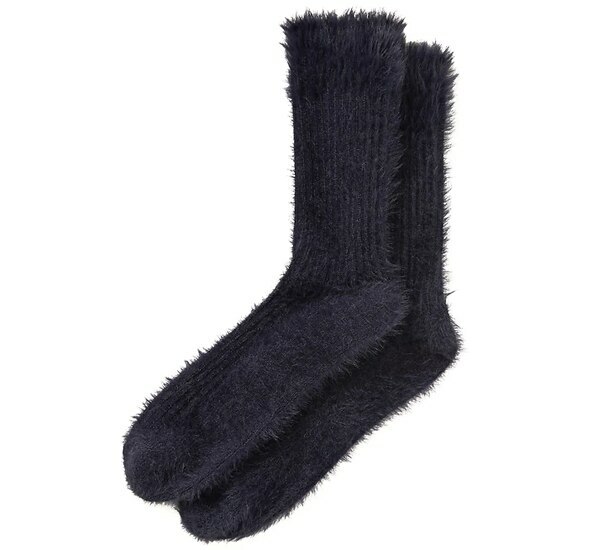 Whether she’s cuddling up around the house or simply keeping her toes warm while braving winter weather, this feathery soft pair of socks is a chic yet cozy gift choice. 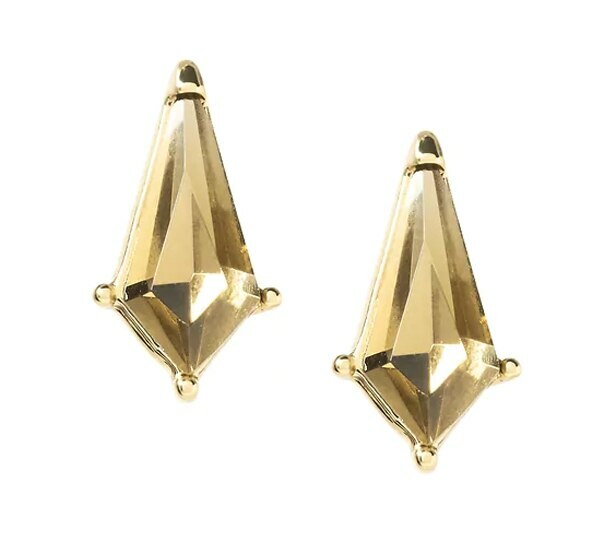 Talk about costume jewelry that looks like a million bucks – these uniquely shaped, teardrop-inspired faceted earrings will dazzle everyone in sight. 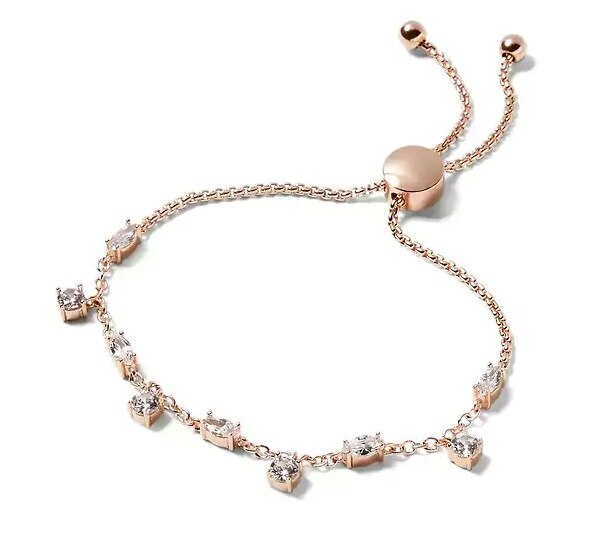 Coming in rose gold and silver, this classic little bangle bracelet is studded with dangling rhinestones. Plus, it’s guaranteed to fit with the bolo-style closure. If you love classic, preppy scents then you’ll simply adore these long and clean-burning candles. 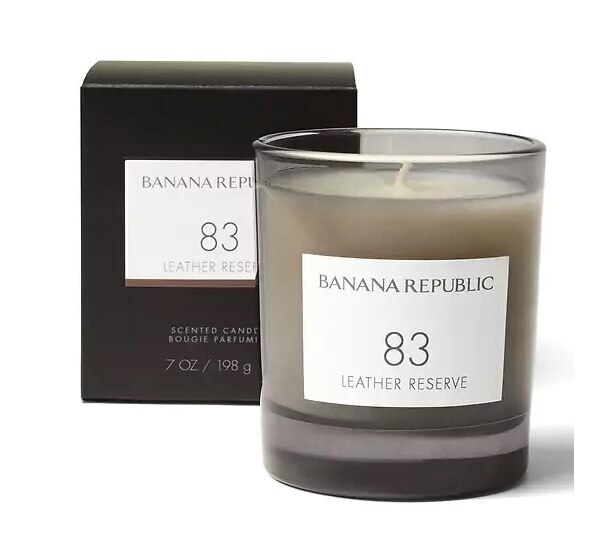 With gorgeous aromas like Leather Reserve and Black Platinum, these unisex candles work as gifts for him or her. 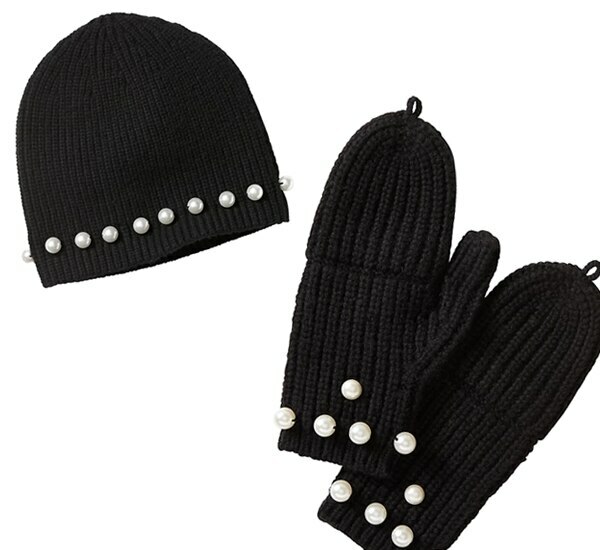 You really can’t go wrong with pearls – especially when they’re decking out a knit cap and gloves in timeless black. 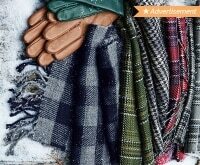 You can pair these classy winter accessories with a gorgeous new coat as the ultimate wintery gift, or she can wear them with literally anything in her closet! 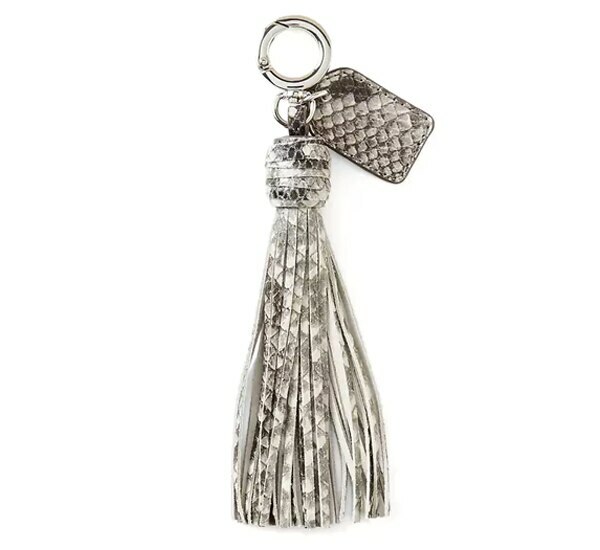 She’ll always know what bag is hers when you add a little tassel keychain to it. 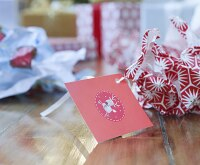 This gift idea goes great if you’re also handing over a new handbag this season! 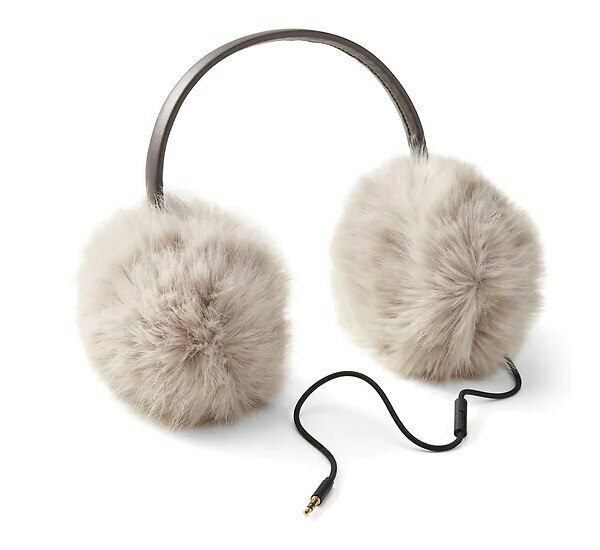 From the plush faux fur to keep your ears extra warm to the pretty vegan metallic leather band, these way chic headphones are serious head turners. Bonus points for keeping your tunes nice and close – no more fumbling with a pair of headphones while wearing mittens! Smoking slippers are making a comeback for wear around the house, the office, and just about everywhere. 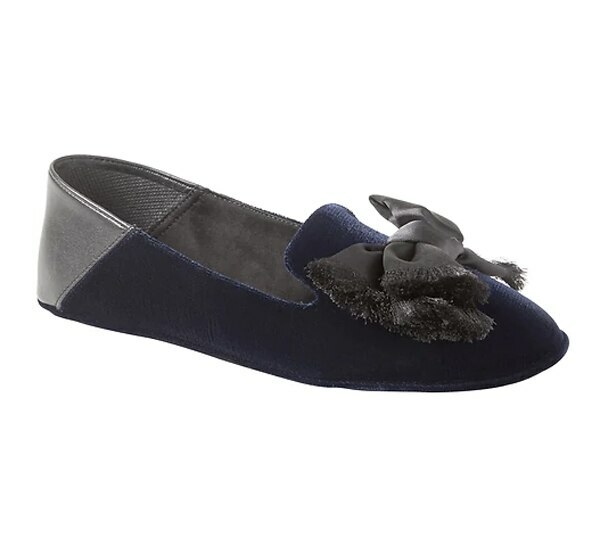 Try this velvet and satin pair, which features a fold-down back to take them from flats to slides in a second. 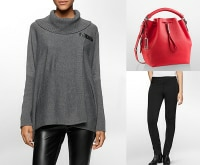 Three things you can’t go wrong with: leather, cashmere, and a pretty scalloped edge. 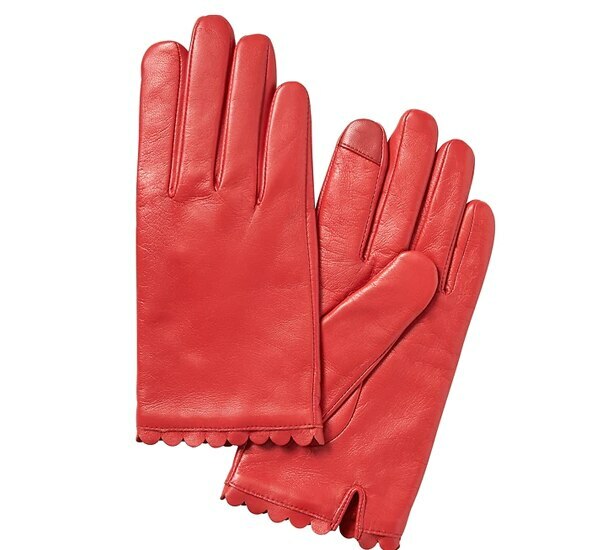 These effortlessly stylish gloves happen to deliver on all three counts. 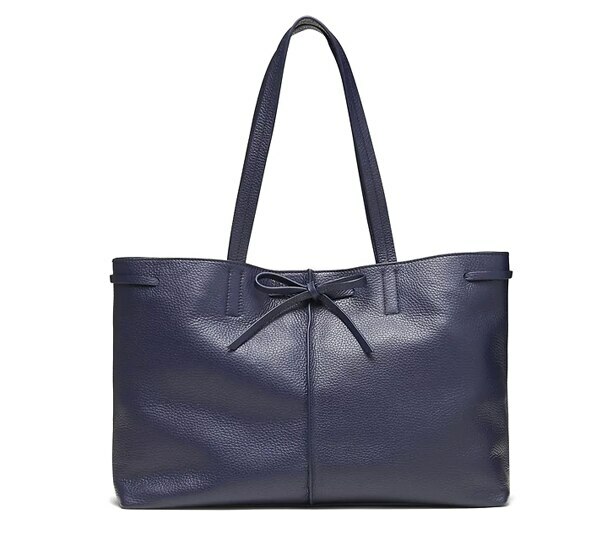 A classic tote bag should be on every woman’s wish list. This pebbled leather version includes a sweet bow detail and a handy USB port to keep her charged up and connected. 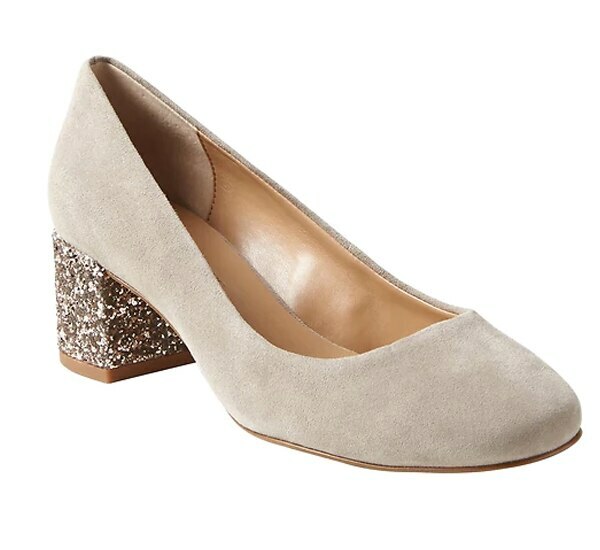 This cool pair of heels hits all the right notes for the season – a hint of sparkle, a buttery soft suede fabric, and a low heel so she can dance all night. 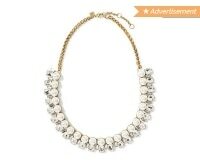 This Christmas, bring on the bling with a dazzling statement necklace! 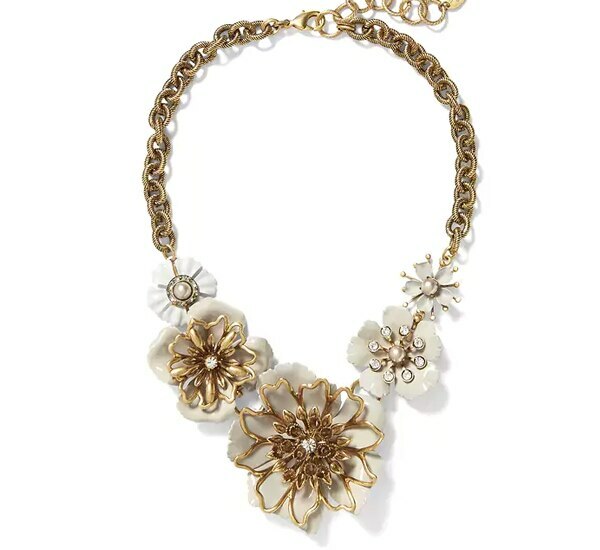 The gold and white color scheme makes this work in the winter, while the fresh florals help it transition to spring. New Season = New Style!